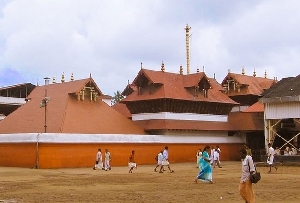 The Sabarimala Temple is said to have been laid after Lord Ayyappa's wishes on a courtyard and is characterized by pyramidal roofs. A flight of 18 stairs called the Holy Stairs lead to the main temple. 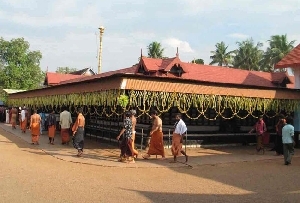 The guards of Lord Ayyappa, Vavur and Kadutha sit at the foot of the stairs guarding his shrine. 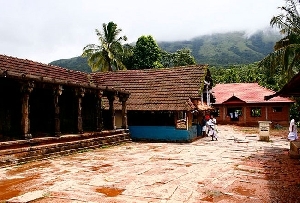 To the south-west of the main temple stands the shrine of Lord Ganapati, known as Kannimula Ganapati. 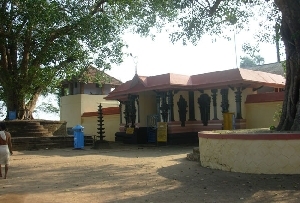 Bhasma Kulam, the temple tank where devotees take a dip is situated within the temple premises. 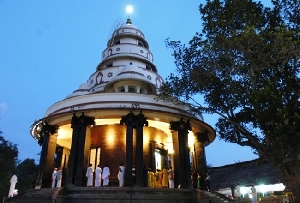 The Homakunda now located below the temple was placed in front of the shrine and a holy fire said to purge one of his sins used to burn there always. Ayyappan was the army chief of the Pandalam family. He defeated Udayanan, who tried to destroy the ancient temple at Sabarimala. 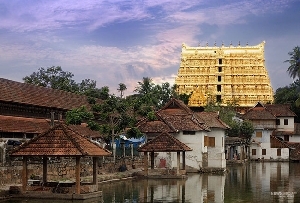 The king reconstructed the temple with the aid of Ayyappan. 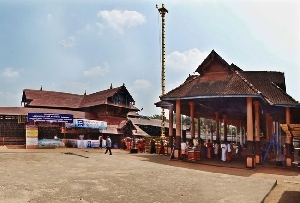 After his death in a clash, Ayyappan became synonymous to Sastha and the people took him to be an Avatar of Lord Sastha and began to worship him. 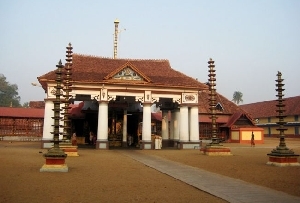 Erumeli Pettaithulal is celebrated every year in December January to commemorate Ayyappan's killing of Mahisham. 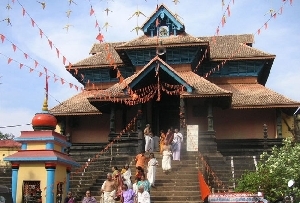 The Temple is to be reached on foot from Pamba, which is well connected by road to other places in Kerala.